After all the doom and gloom of this year something has cheered me up - carrots. For the last two years our attempts at growing carrots have failed dismally, however this year they have been a real success story. I like them in the same way that I like potatoes, in that you don't know what you're getting until you pull them up! 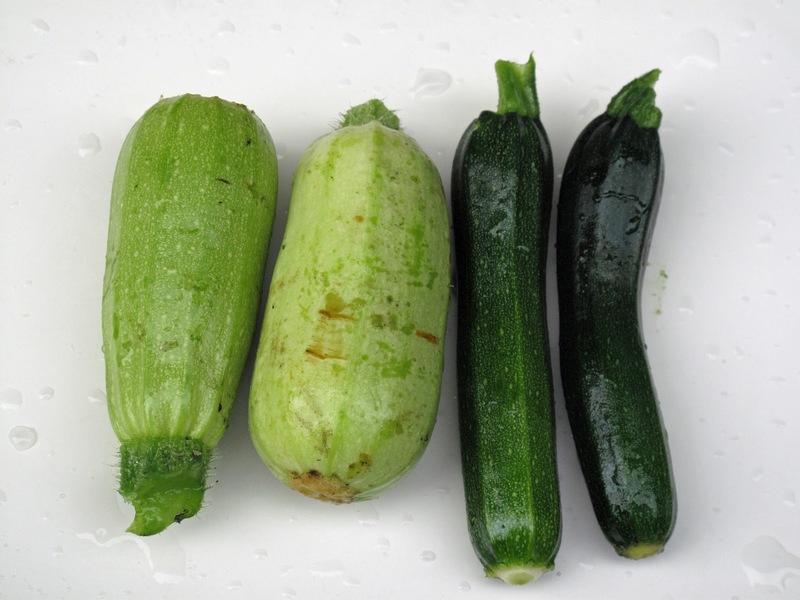 These are the first courgettes I have picked this year. My plants are way behind last year, much smaller, and not producing much in the way of anything. I'm also having a problem with the ends of the Lebanese courgettes (on the left) and my pumpkins going rotten. I don't know why this is happening and its something I've never encountered before. I've already lost 2 of my pumpkins and 1 courgette. With the courgettes I am trying to get round it by picking them when they are pretty small, however I obviously can't do this with the pumpkins. I'm a bit scared to pick my carrots. Each year they have been nibbled by carrot fly maggots. 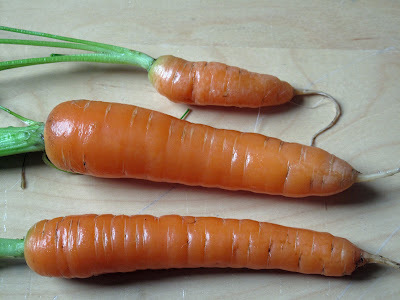 Great carrots - shame about the courgettes. This happened to some of mine at the beginning but now they are coming through ok - don't know what causes it.